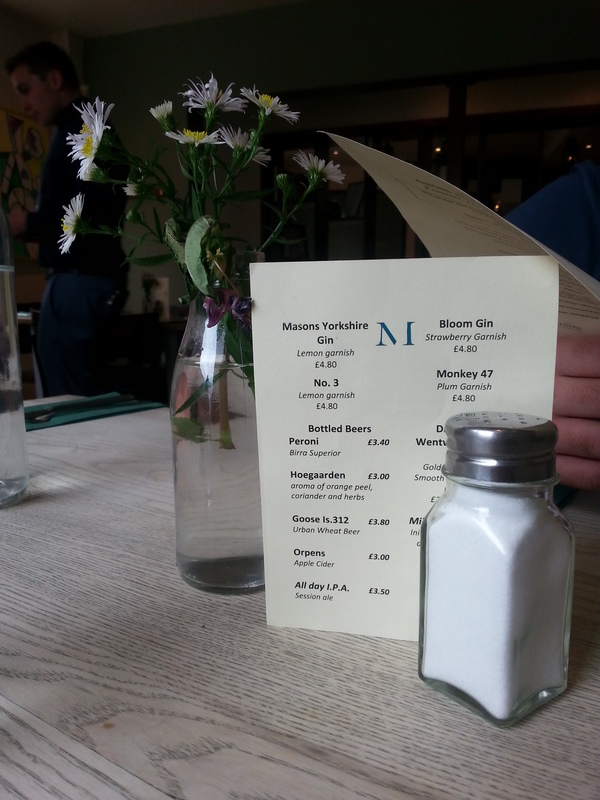 Last Saturday after a tiring morning of food and drink shopping we stopped off at the Milestone for a spot of lunch. This place has a firm place as one of my favourite places to eat in Sheffield, it can never go wrong. I just love the food, the atmosphere, the local sourcing, the ever changing seasonal menu and now the fact that it suits dining at any meal time. 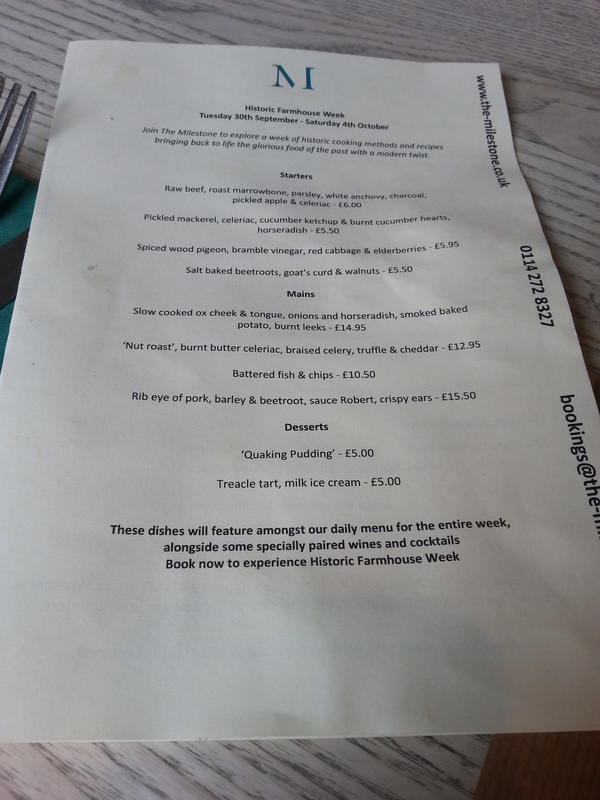 We have previously only eaten here as an evening meal, mainly between the hours of 5 and 7 where you can get 2 courses plus a drink for £14, but today was venue of choice for lunch or as we found out on arrival, brunch. 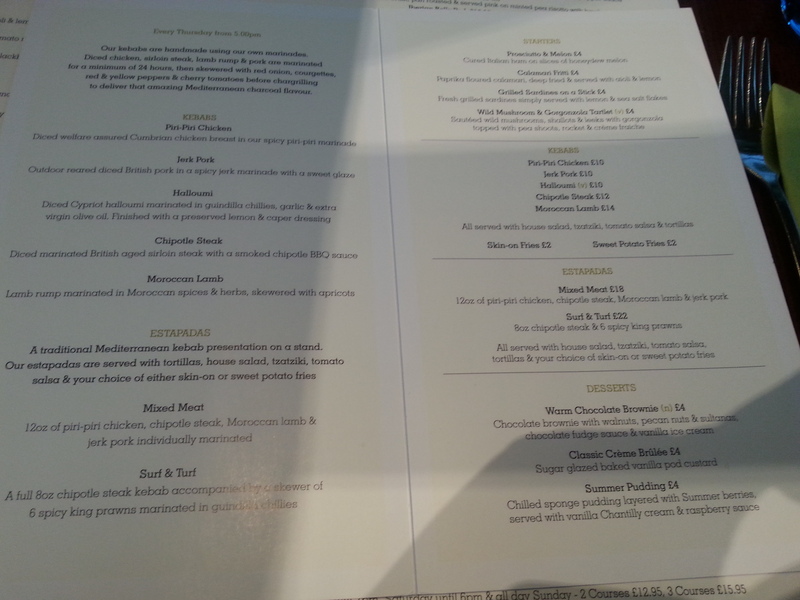 Although we were dining at lunch there was still a number of menus to choose from, the lunch a la carte, brunch menu or set Saturday lunch menu were 2 could dine 2 courses and bottle of prosecco for £19. Choices choices. 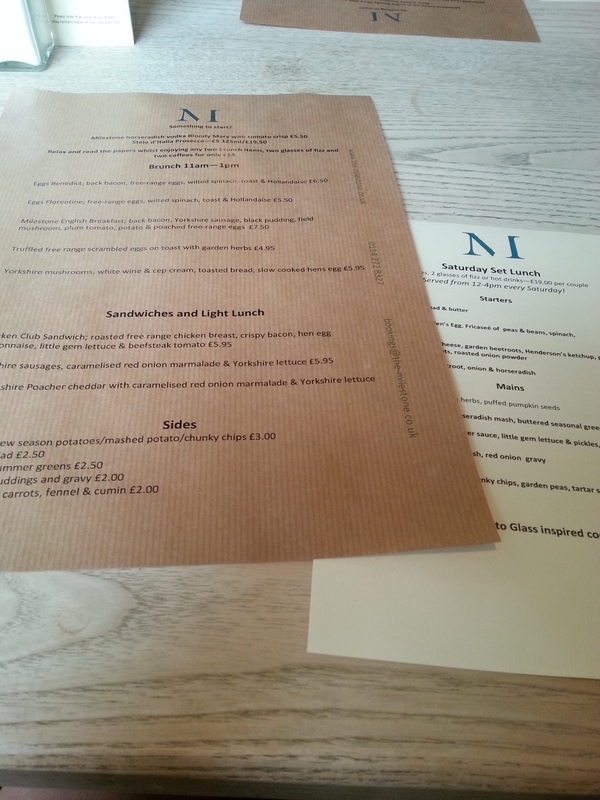 What we ate: Although the set lunch menu looked great and very tempting (plus the prosecco was calling) I decided that my eyes were in fact being too big for my belly (as they say) and I was driving so just opted for a Chicken Club Sandwich. 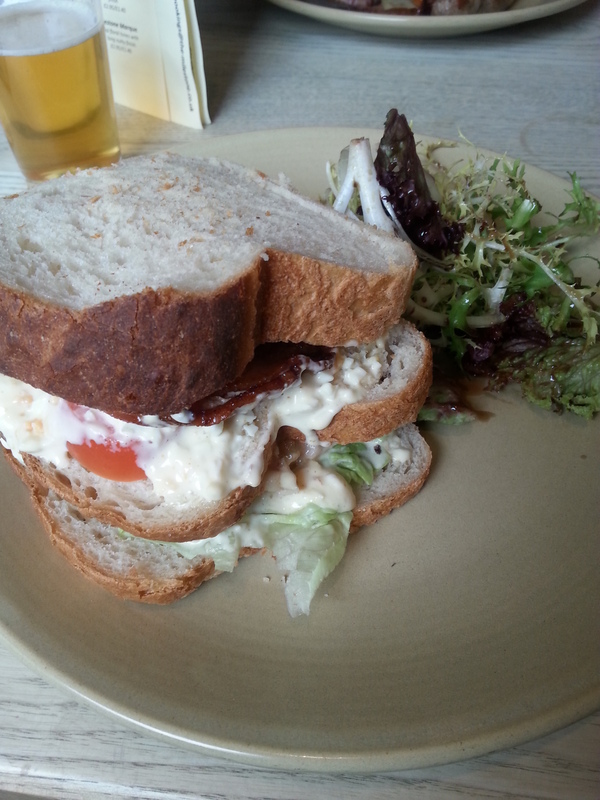 I can tell you this wasn’t just a sandwich, the bread was lovely and soft with the crispest tastiest crust, the chicken and the bacon tasted fresh and were full of flavour and the egg mayonnaise was lovely and subtle, which is great considering I don’t like eggs. The boy opted for a full Milestone breakfast came with everything including homemade beans which were just a delight, he was very pleased in deed. What we Drank: After all the beer shopping, we were in a beer kind of mood so opted for the local Pale Ale from Welbeck. 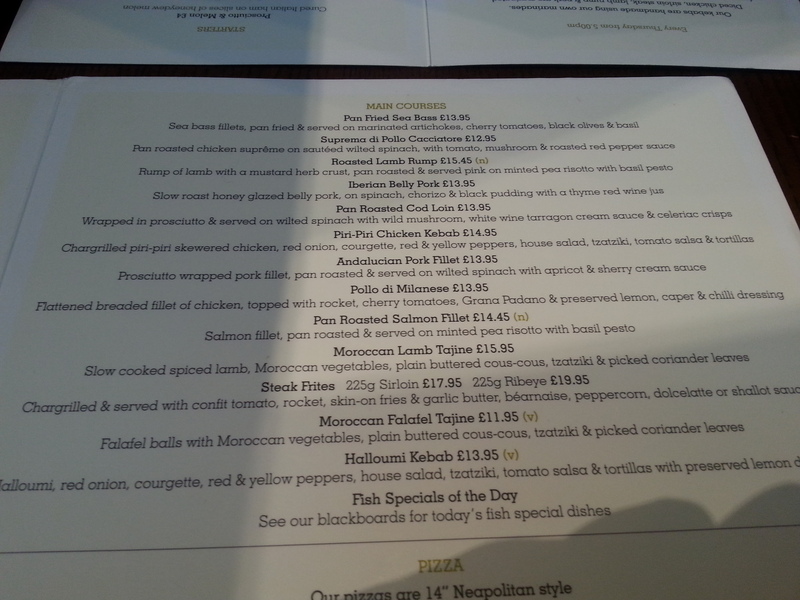 Overall the meal was fantastic, the atmosphere was great and service was brilliant and all for just over £14, absolute bargain. Will definitely be ‘brunching’ here again. As we had such an amazing meal last time (see previous post) we decided to dine here again for dad’s birthday last weekend, and again it was amazing. 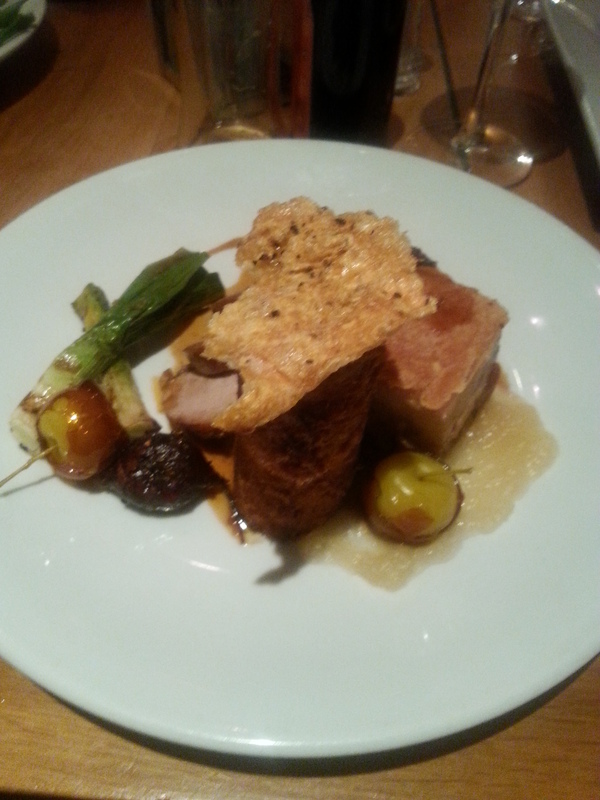 I’ll keep this post/ review brief as my last one pretty much covered all the bases but I just couldn’t not share these beaut food pics with you..
Trio of pork: roast fillet, slow roasted belly and pulled hock croquet with mini toffee apples, baby leeks and roasted beetroot. Each part of the trio had a character of it’s own but all married together nicely and went lovely with a big glug of Hendersons. 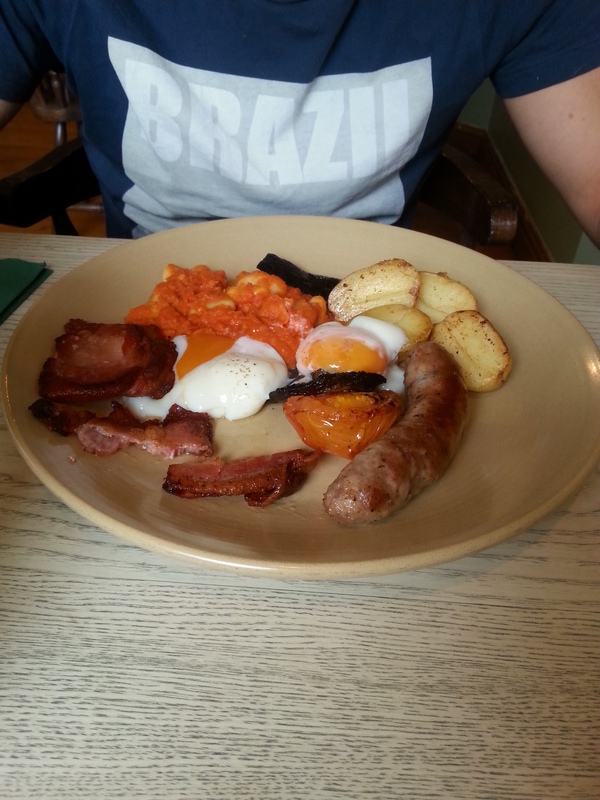 It felt like there was half a pig on my plate but I managed to plough through it. 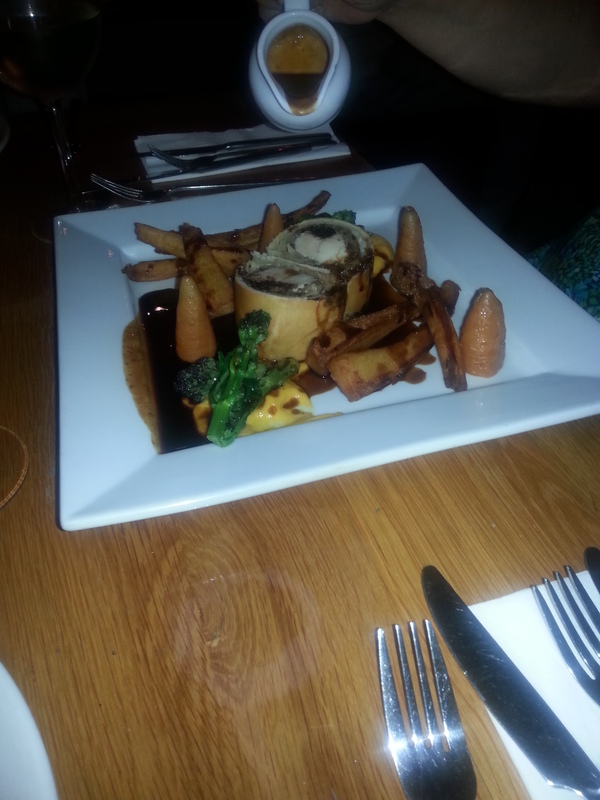 Rabbit and black pudding Wellington with roasted carrots, parsnips and a rich jus. Lovely and moist and full of flavour. 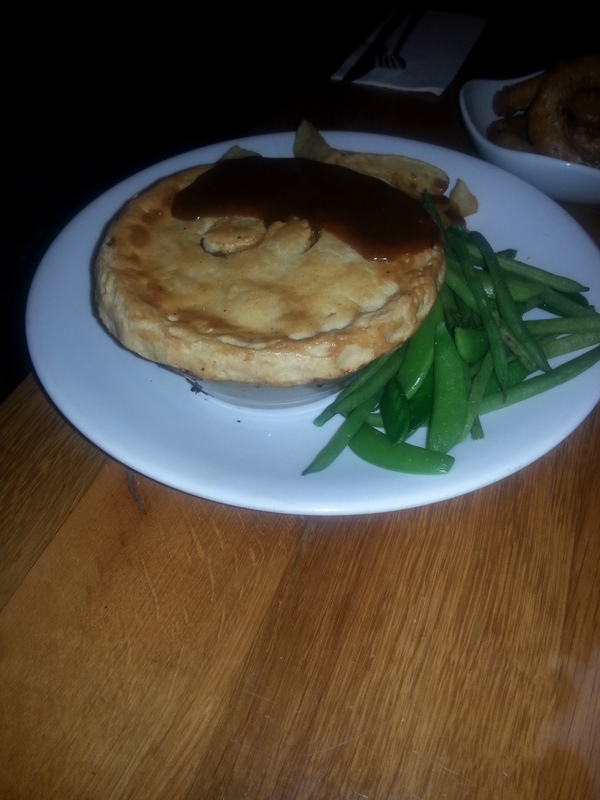 And… The biggest steak and ale pie I have ever seen, served with chips. Naturally. Lovely tender beef and tasty boozy gravy. mmmm gravy. 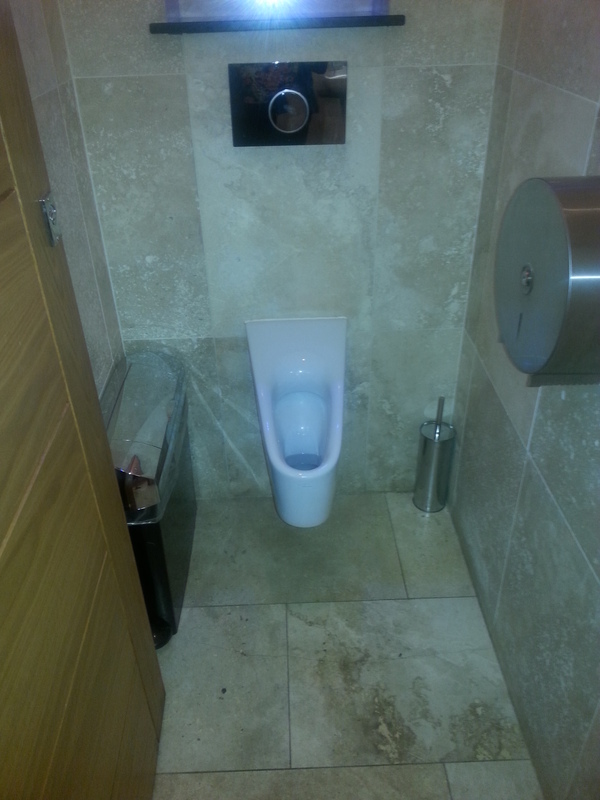 On another note, I know this is supposed to be all about food but I couldn’t resist sharing a picture of this she-wee contraption, speechless. 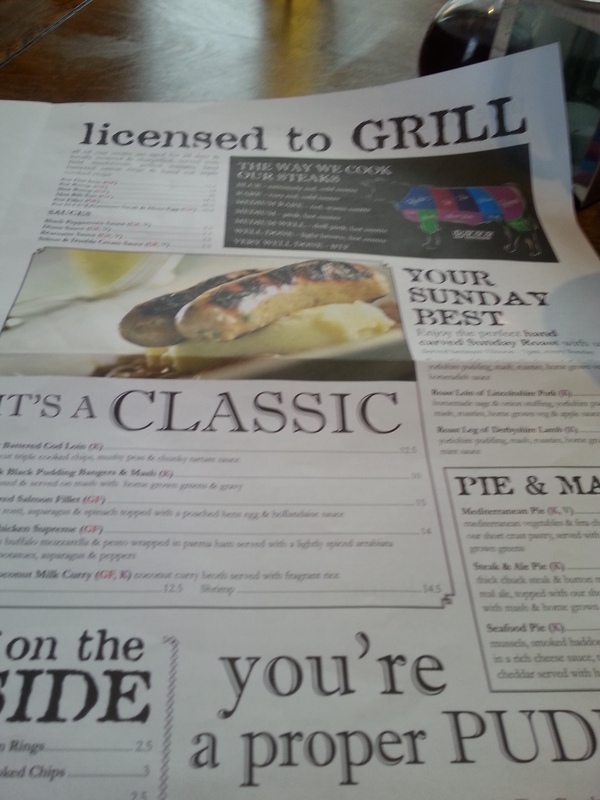 If you would have asked me 12 months ago I would have told you that this place was my favourite spot to eat out, but after a couple of disappointments at steak night our eating out here has some what been lacking lately. 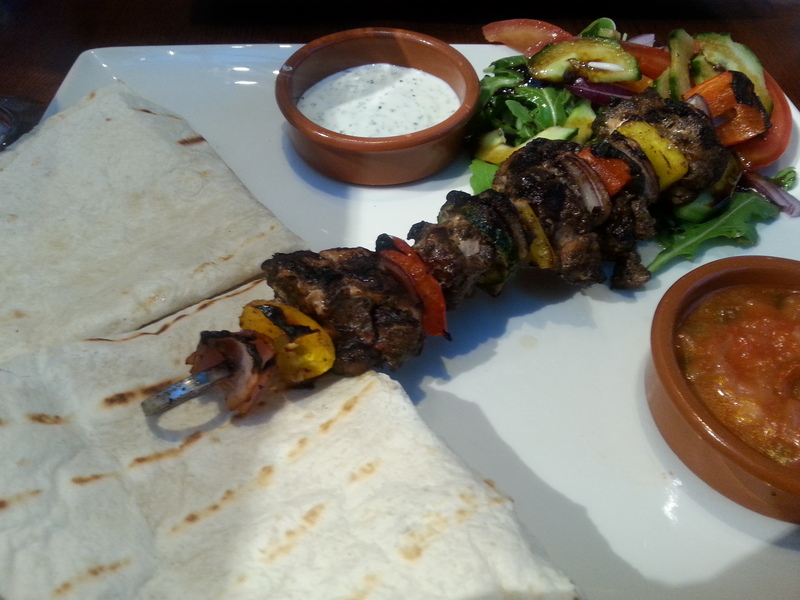 But after seeing this offer for kebab night we decided to give it another try and last Thursday was the date. The setting for this restaurant is beautiful yet relaxed and in a great location, on Surrey Street right near the crucible theatre in Sheffield city centre and a 2 minutes wander from the peace gardens. Ego serves Mediterranean food well with a Modern feel with dishes you would typically see in Spain, Greece and beyond. 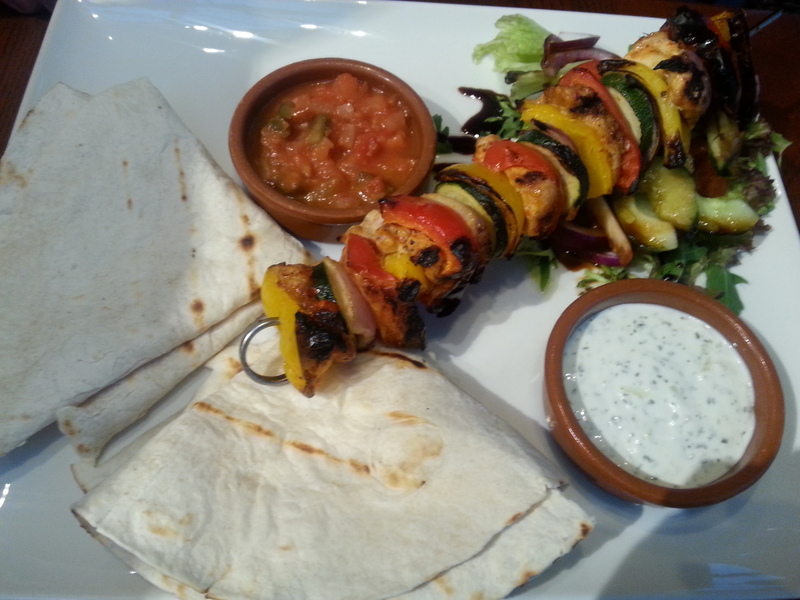 Having previously had the chicken kebabs off the a la carte menu on previous visits this set my expectations high for the kebab night I was about to partake in. Off the kebab menu we went for the Jerk Pork and the Piri Piri Chicken and each of skin on fries and sweet potato fries. 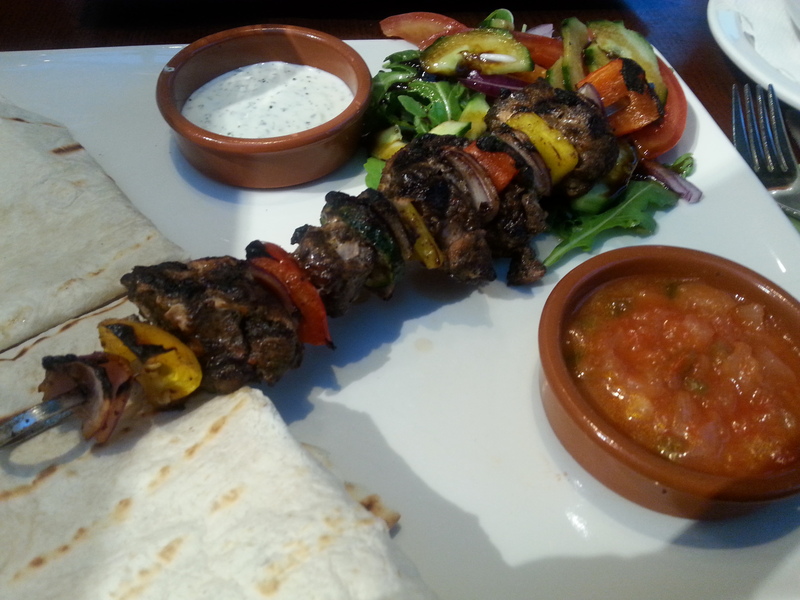 The kebabs came with tortillas, Tzatziki, Salsa (hot) and salad. 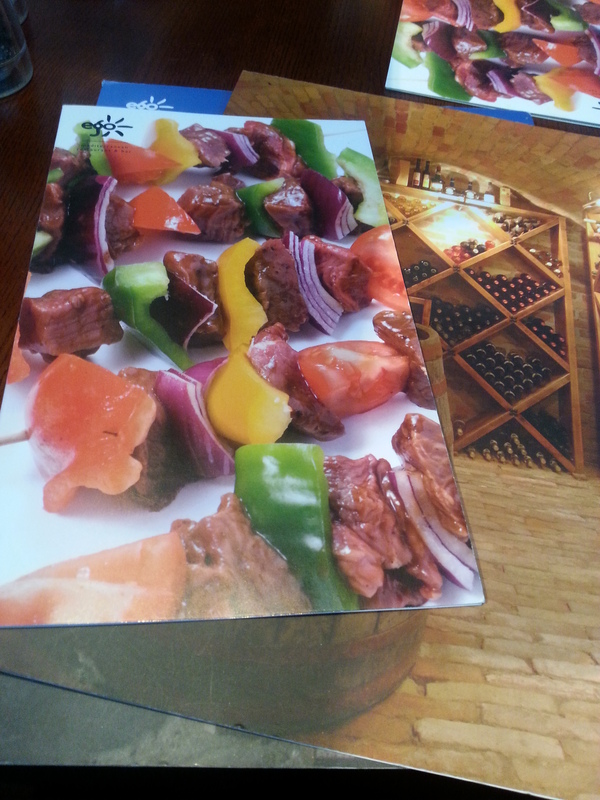 The kebabs came and were full of flavour, my choice was the Jerk Pork which was spicy and cooked well, the only criticisms that I had the seasoning could have been a little sweeter and the pork better trimmed as I came across a couple of bits of gristle. 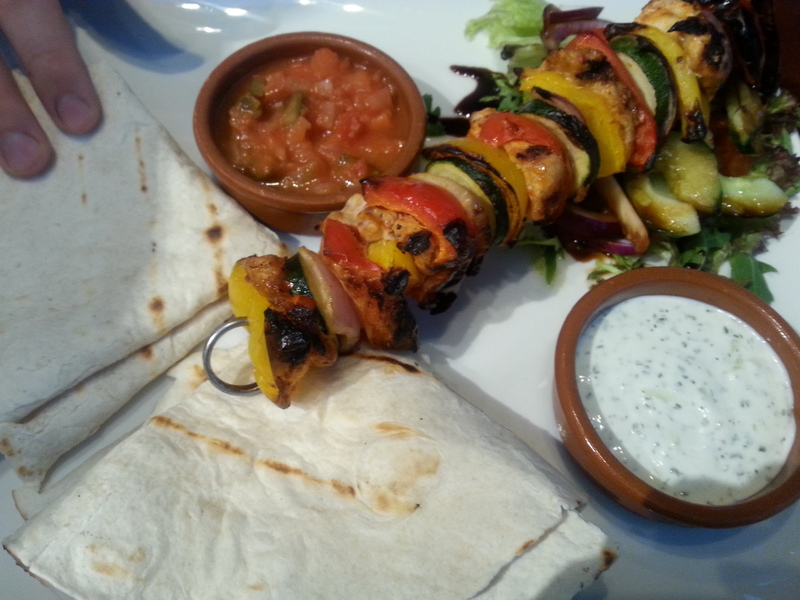 I had major food envy of the Piri Piri chicken kebab the boy had ordered, the chicken was spiced well and had good heat level and cooked very well. 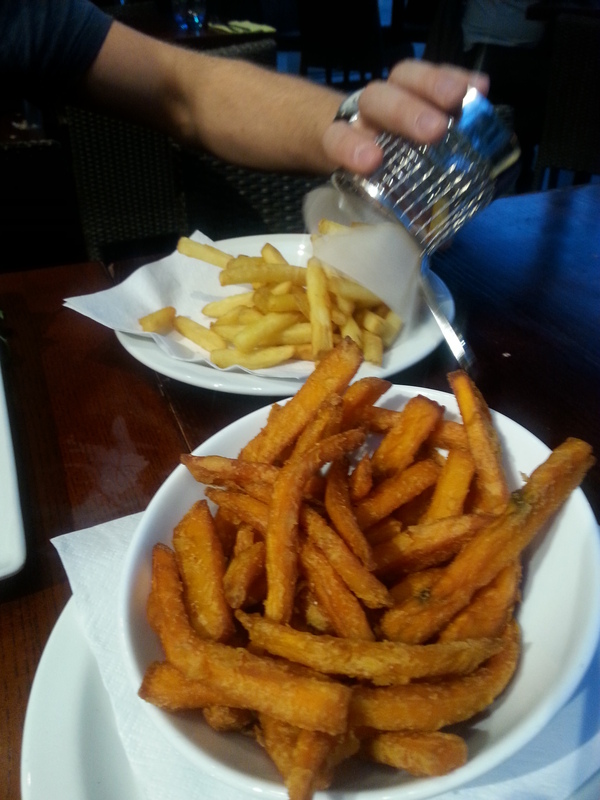 The fries were good and the sweet potato fries were very good, I could have eaten soo much more of them. 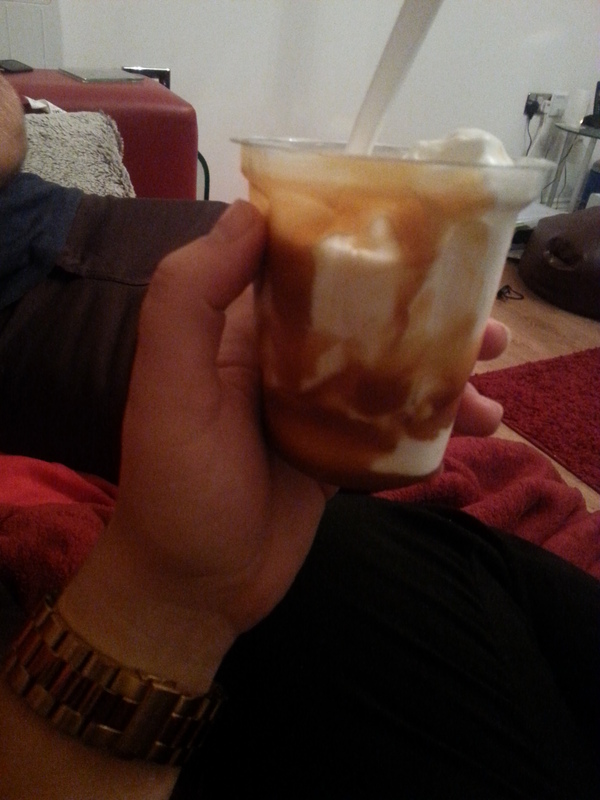 We opted out on dessert at the restaurant and had a sneaky fudge sundae from maccy d’s on the way home. After this experience Ego has won back my heart and I’ll definitely be back to give the Tapas night a try and to sample more of the a la carte menu. A great night! The only downside I’d if you were expecting this offer to be cheap, once sides and drinks had been added to the £10 kebabs the bill came to almost £40. 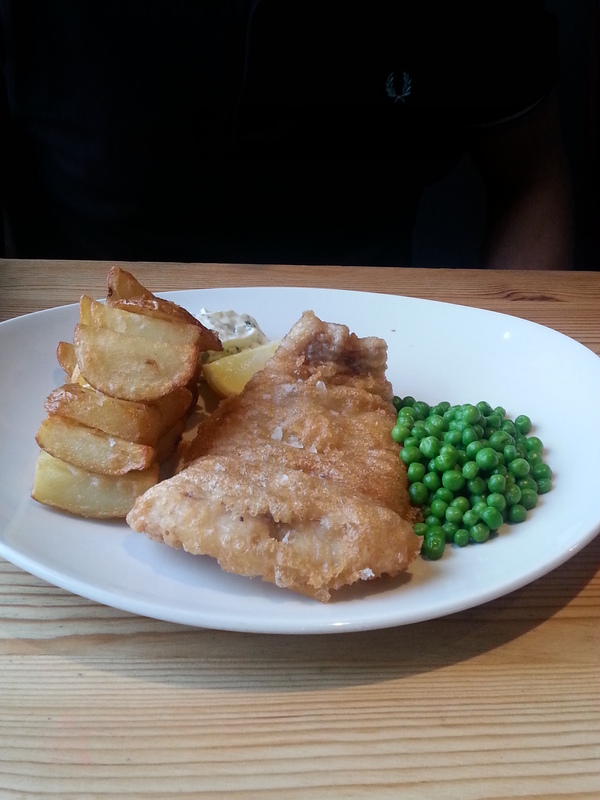 So, it’s saturday night and this week we dined at Wig and Pen on Campo Lane. From the same people who run the Milestone, this place offers gourmet gastro food, locally sourced and if you eat between 5-7 then the price is right also. 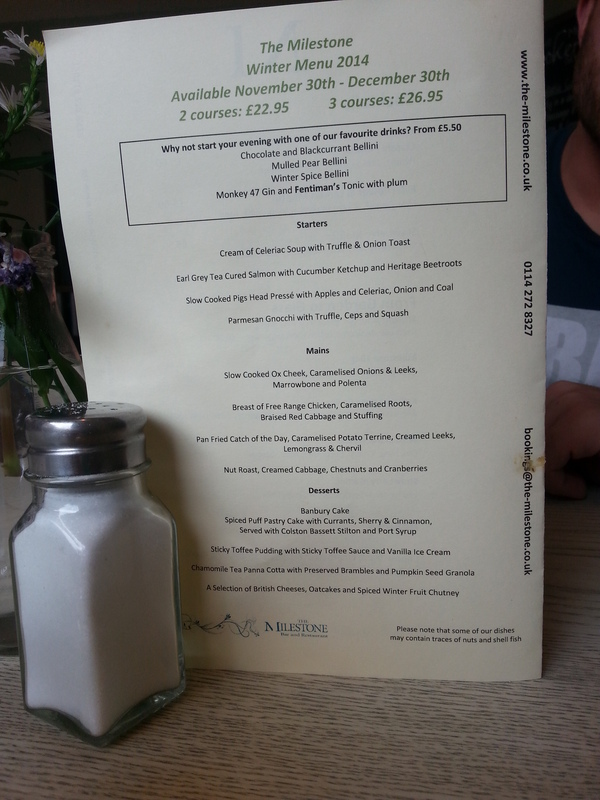 By choosing the early bird menu, which we did you get 2 courses plus a drink for £14 and only £2.50 extra you can make it 3 courses. 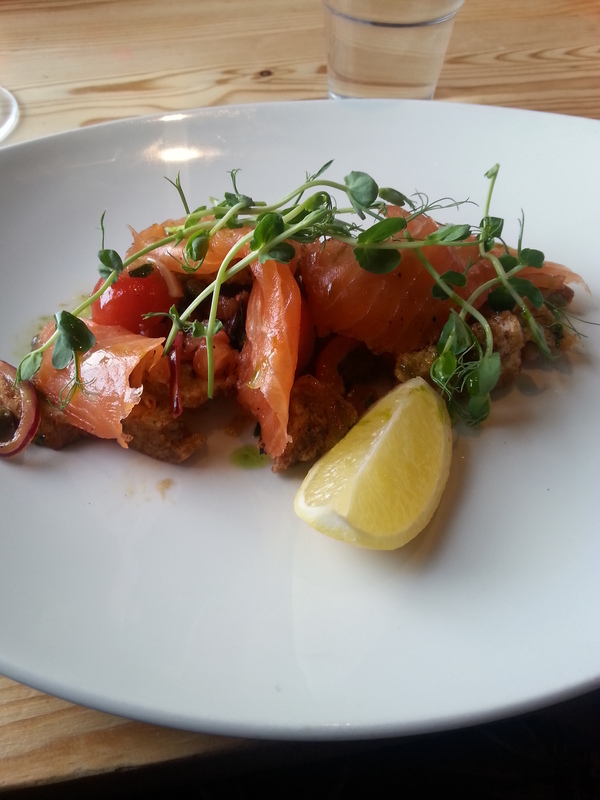 For my starter I chose the earl grey cured salmon with bread salad and pea shoots and can I say I was blow away, it was as good as it looked. 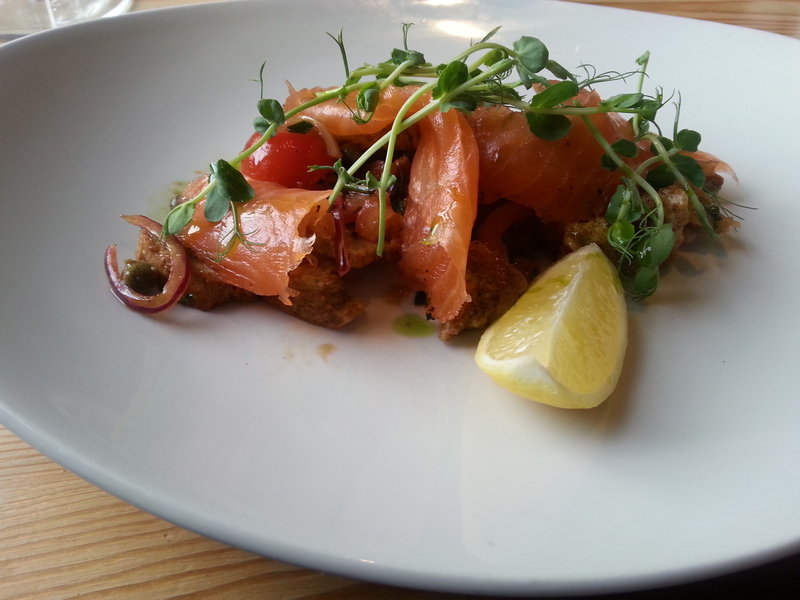 The salmon was bright and fresh with a wonderful flavour I was really impressed. 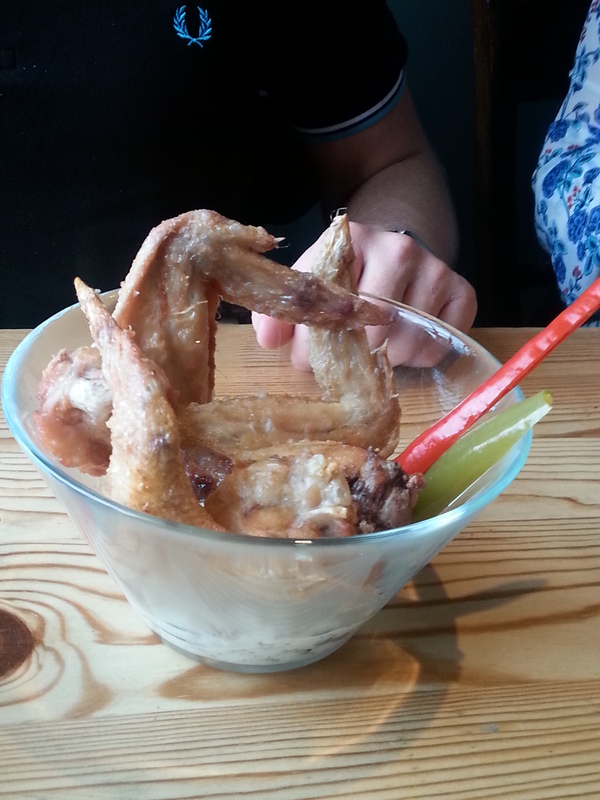 Others had spicy chicken wings which when had previously were much better as this time the spicy seasoning was lacking somewhat. However, the other two starters of bruschetta with prosciutto and the creamy spiced soup seem to go down very well. 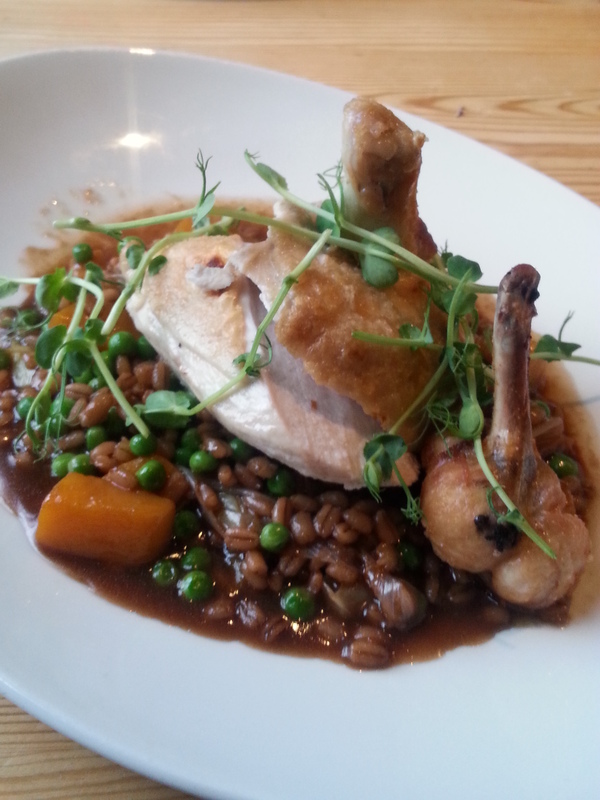 For mains again I chose very well, free ranged chicken breast with pearl barley, fresh peas and jus. I’m not normally a fan of pearl barley but it was just lovely, it took on the flavour of the chicken and jus well and was a pleasant alternative to the potato based side I would normally sway towards. Other mains included, fish and chips which I’m told was not anything amazing, the Big Wig Burger which yes was big and came with everything you could need on a burger and slow cooked shin of beef which would have been my second choice had I not gone for the chicken. And I kind of (definitely) had food envy. For dessert I went for my usual, a cocktail which I’ll tell you about I a mol the others devoured the Sunday which was chocolate orange and had subtle Christmas cake spices. 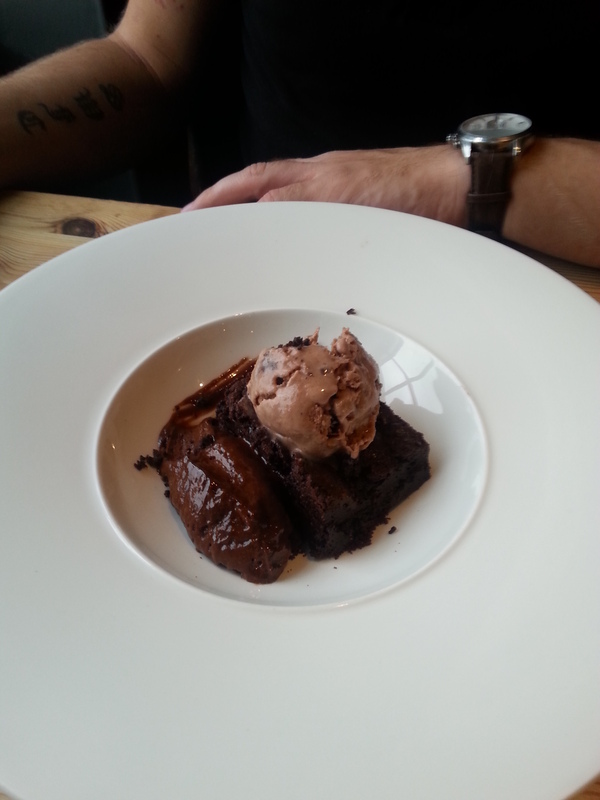 There was also the brownie which was accompanied with butterscotch ice cream, I’m presuming it was delicious as I didn’t get a look in. 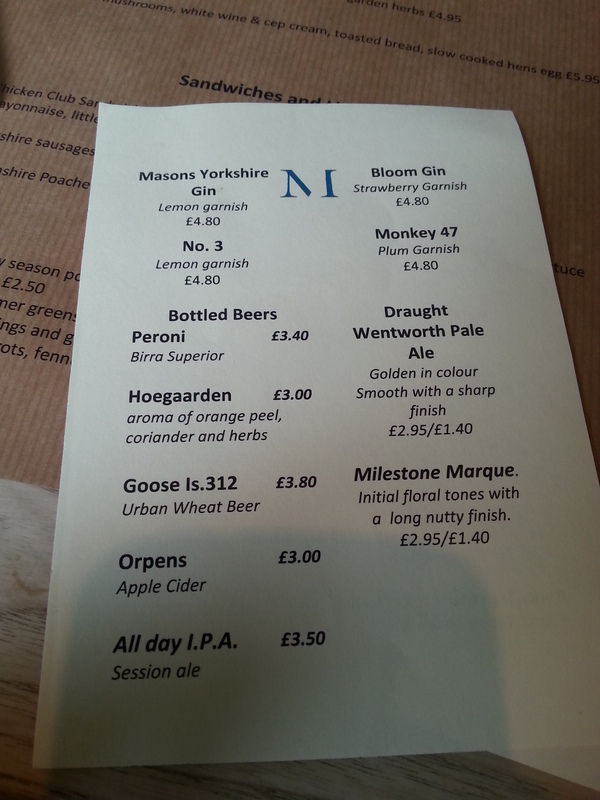 As part of the early bird menu, you get a choice of either house wine or a pint of local ale, mmm I’ve such a soft spot for local Sheffield ale. 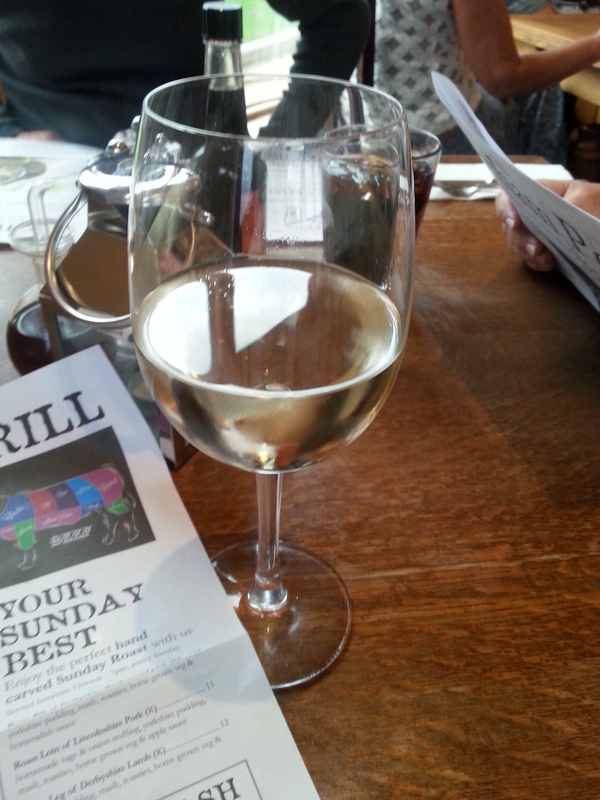 But I like to drink wine when eating (and a lot when I’m not) so I went for the house white which was better than any highly priced wine in other places. 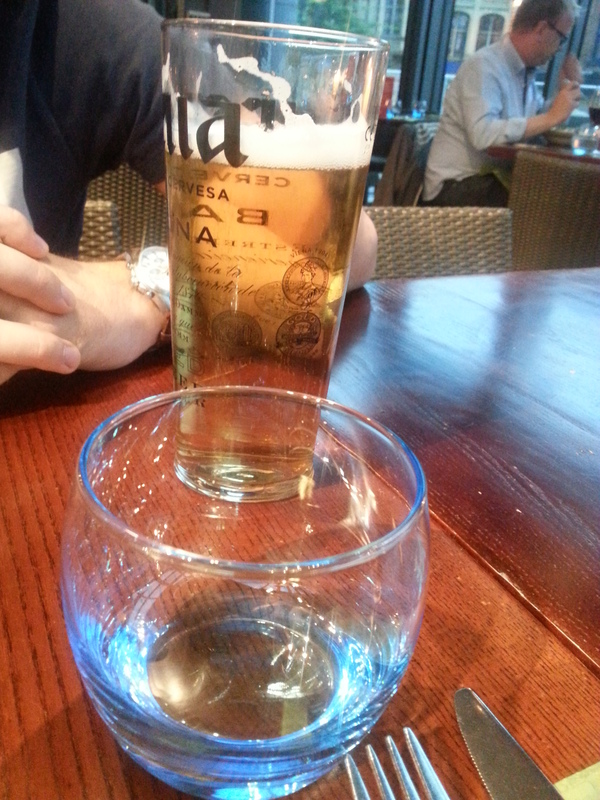 I also, had a sip of the ale, an amber, which was full of flavour yet subtle, I could have drank the whole thing. For my dessert cocktail I went for a Granny Smith, a Gin based cocktail with Elderflower syrup and fresh apple. On the menu it stated that it was served with parsley but came with thyme, I wouldn’t normally comment on such minor details but I’m just not a fan of thyme. 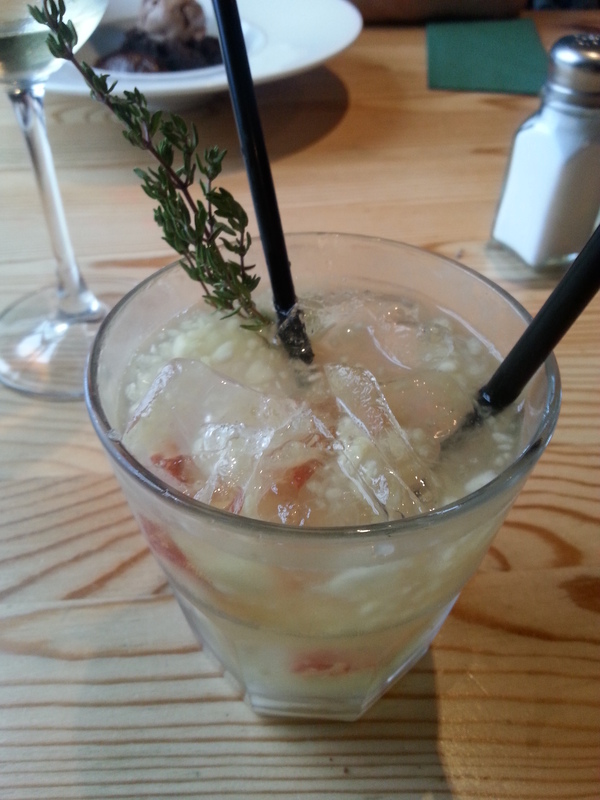 But never mind the herb was easily removed and the drink was enjoyed. All the flavours came through well and the crunch of the fresh apple was a nice touch. This place remains to be a favourite of mine, I love eating out at different places and as they say variety is the spice of life but I just can’t keep from coming back for more. I was very wrong in thinking that The Common Room on Devonshire Street, Sheffield was just a pool hall, it is in fact home to some of the best American food and Cocktails I have ever had. After a long week at work all I wanted on a Friday was a couple of drinks (or maybe a few) and some good food so headed to my favourite street and it did not disappoint. What to eat: As I am one. very indecisive and two. 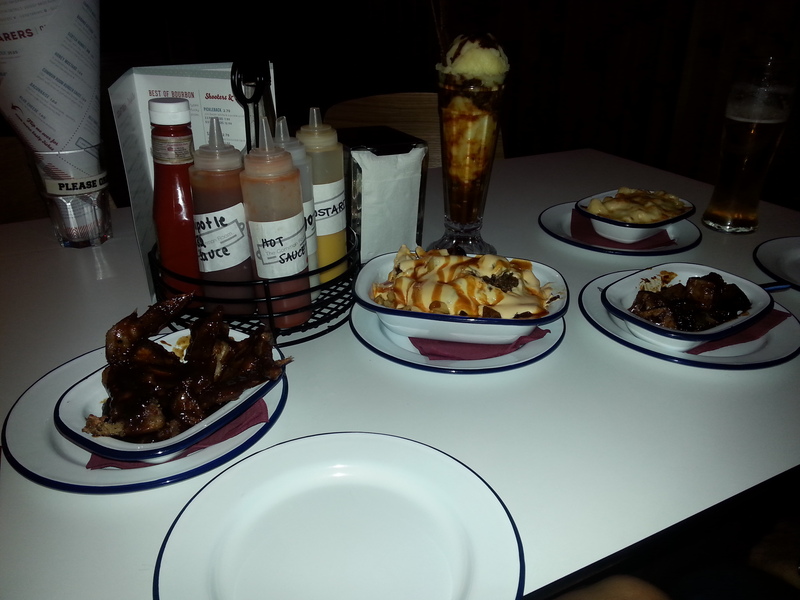 like to have a bit of everything we chose a mixture of starters/ sides and sharers. Pulled pork and burnt ends were good, you can definitely taste the benefit of the in-house smokers but I must say the stars of the show were the mac & cheese and shredded beef philly cheese topped fries. The cheesyness of the sauce was just amazing (as a cheese fanatic myself this is a must!) and the fries were just what I needed. What to drink: The evening was started with a pint of local ‘guest ale’ which never fails to hit the spot. Then after dinner it was time for dessert cocktails, a mojito never fails then it was gin time with a Gin Ting which was like nothing I’d ever had before with ginger beer and lemongrass, wow. Needless to say after these I was on happy (and very full) bunny. When eating here make sure you sit in the bar area ‘booths’ the atmosphere is spot on and as the night gets later you get a laugh from the wobbly after work drinkers. I also must say I was very impressed with the condiment offering, alongside the Hendersons (seeing this always makes me a happy girl) there was also offerings of favoured BBQ Sauces which I’m pretty certain were homemade. I lathered my food in Chipotle BBQ sauce which had all the flavour of the chipotle and a slight heat, winner!! If you like good American food or just want a decent drink (or both in my case) I would definitely recommended coming here, I’ve been a couple of times now and was very impressed. Having eaten eaten here a couple of times I jumped at the chance when my mum suggested The Hop Pole for Friday night tea. The settings for this place is beautiful, right on the canal side just out of Retford with great outdoor seating area I was gutted the weather wasn’t up to it and we wouldn’t be dining al fresco. The inside is just amazing, some would describe the decor as being a bit garish but I just love it, I always find myself just staring in amazement at all the colourful chairs and light fittings. 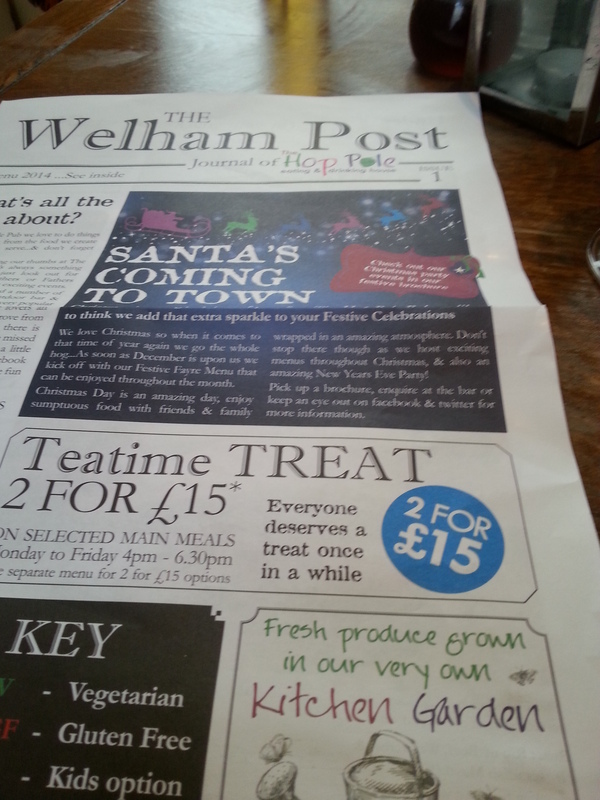 Attention to detail even goes right down to the menus; I loved the newspaper style, the presentation was just great even down to the picture describing the beef cuts. 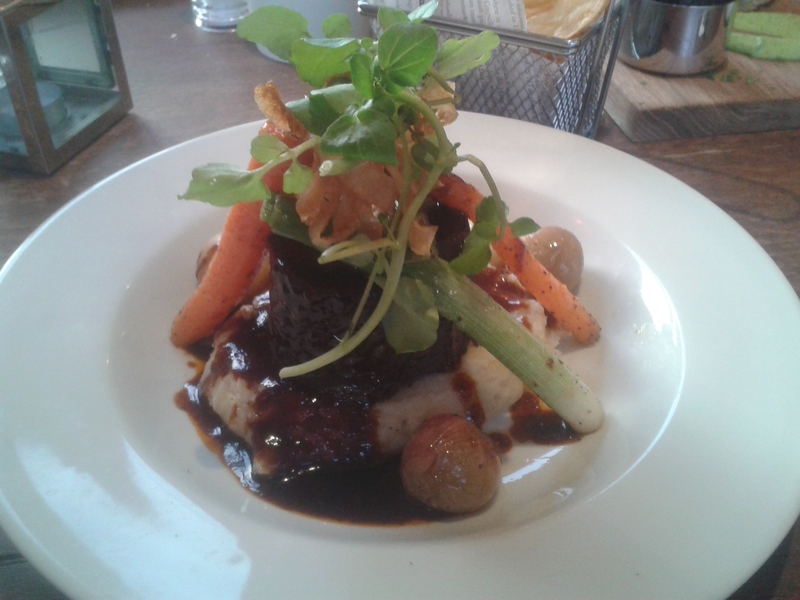 What we ate: I ordered the braised beef blade off the specials board, it came with garlic mash, buttered baby veg, and jus. I could not say a bad word about this, from the beef which just melted in the mouth to the baby onions, carrots, turnips and leeks which were a delight. 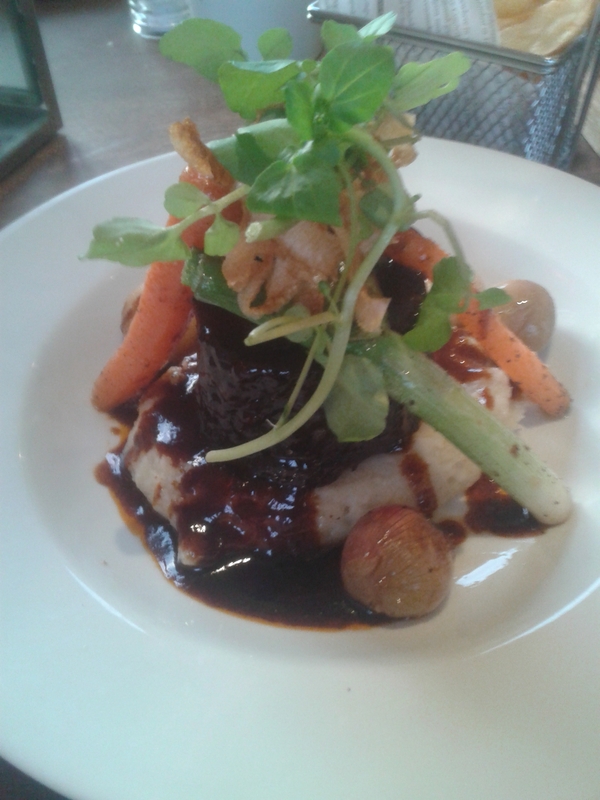 The mash was creamy, the jus was packed full of flavours so good there was no need to add any extra salt. 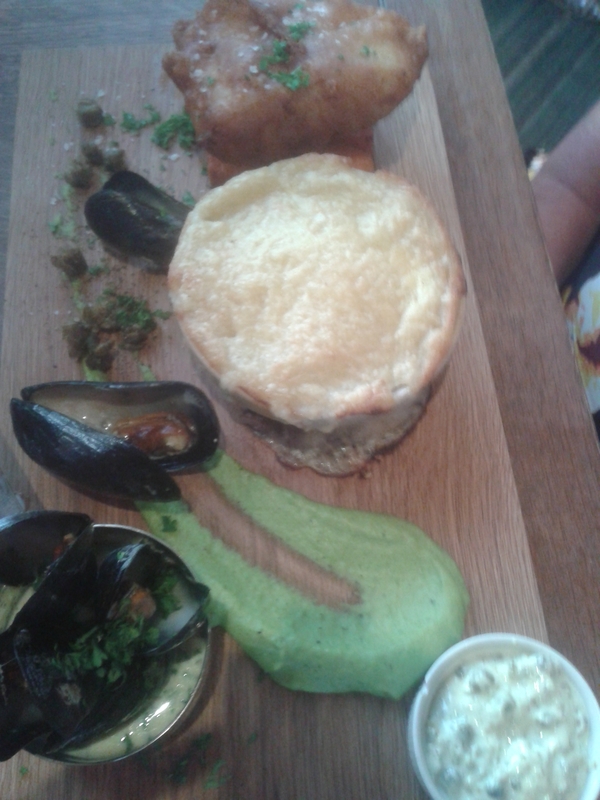 Mum had trio of fish, also on the specials board which came presented in such a beautiful way- what a delight!! 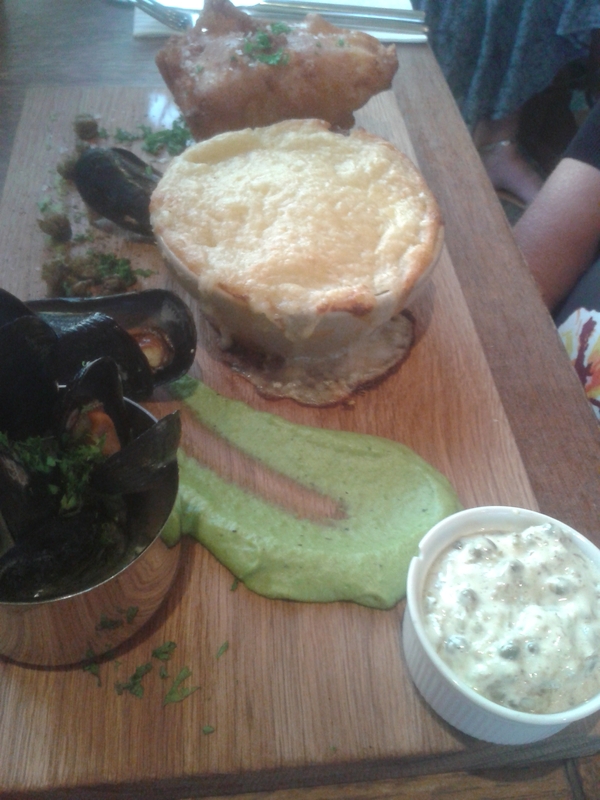 The trio was a big chunk of cod, mussles and fish pie which had big chunky pieces of salmon, prawns and mussles in, great! All this was served with sweet potato fries, pea purée and crispy capers, I’m told that it was really good, not that I got a look in. 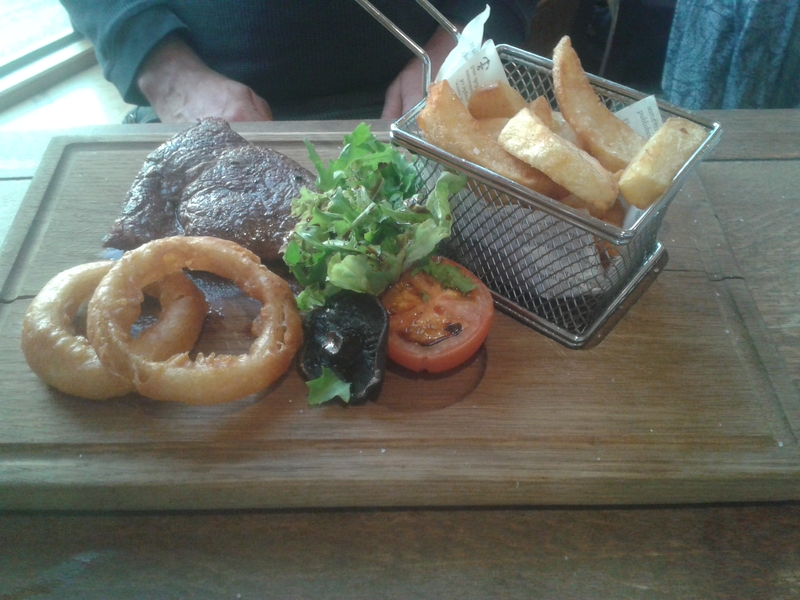 And finally dad went for steak, rump, a trend is forming here again this came out looking absolutely impeccable. 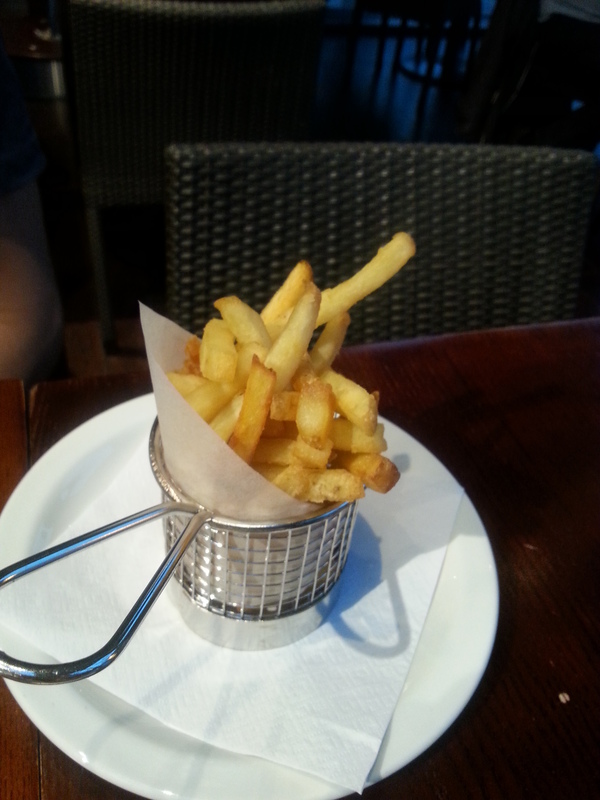 The steak was cooked to perfection and came with all the trimmings and the chips came in a mini fryer basket, brilliant. I’m such a sucker for all things mini. What we drank: I kept it simple with a glass (or maybe two) of Pinot Grigio, dad was on the Heineken which is also a favourite of mine I’ve just had this little soft spot for it since I did the brewery tour when in Amsterdam a few years ago. Mum was the designated driver so kept to the coke. On the drive out I spotted the kitchen garden where this place grows its own produce, you don’t get more local sourcing than that. Such a lovely experience, a definite recommend from me and somewhere were I will definitely be visiting again hopefully when the sun is shining so I can be in the gorgeos seating area watching the world go by.